Xeriscaping is a fancy word isn’t it? But what does it really mean? 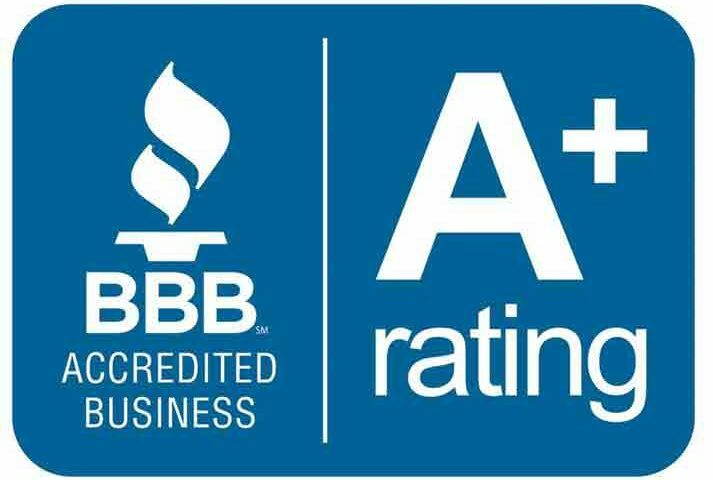 According to Wikipedia “Xeriscaping is the process of landscaping or gardening that reduces or eliminates the need for supplemental water from irrigation.” So, in a nutshell Xeriscaping simply means you will need to water your landscaping very little or none at all. Can you completely eliminate the need for hand or automated watering for your landscaping in Calgary? That is the key question. Xeriscaping your yard in Calgary in the true sense is challenge. Xersicaping is made much easier in climates where rainfall is more reliable than Calgary. As well, climates where drought resistant plants thrive and have evolved to survive on very little water are Xersicaping friendly but Calgary is just not in that category. Choosing drought resistant plantings is the key to creating a successful Xeriscape in Calgary. There are many shrubs and ornamental grasses that are drought resistant and will do well in Calgary’s climate. Ornamental grasses ideal for Canadian climates are likely your best choice for drought resistant plantings. Ornamental grasses includes varieties such as Karl Forester feather reed grass, Overland grass, Fescue grass and Blue oat grass. These ornamental grasses are not only drought resistant but they provide great spring, summer, fall and winter interest and colour. We have planted these ornamental grasses for years in Calgary. Over time we have seen that they can go entire summers without water even when our summers have been unusually dry. Along with ornamental grasses we recommend planting some native shrubs in your garden beds. Native shrubs include Dogwoods and Saskatoons. Dogwoods are available in a wide variety of leave and branch tones so they can add a lot of colour to your Xeriscape. Dogwood varieties included Yellow twig dogwood, variegated Dogwood, Red twig dogwood and many more varieties. Dogwoods are quite drought tolerant but may require some water if the summer season is very dry. Saskatoons grow wild throughout Alberta and you will see them in areas such as Fish creek and Glenmore park in the SW. Saskatoons can survive little or no hand watering and they are a tasty and nutritious snack IF you want a bountiful Saskatoon crop then you will likely need to water them by hand. 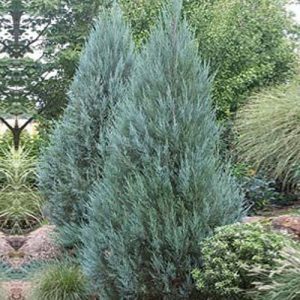 Other drought tolerant shrubs you may want to include when xeriscaping your yard in Calgary included Cotoneaster as well as some varieties of junipers and spirea. It is very important to remember that all of your new plantings will require regular watering when they are first planted. This is vital for the plant to get properly established. Once the plant has become established you can reduce watering or eliminate altogether. 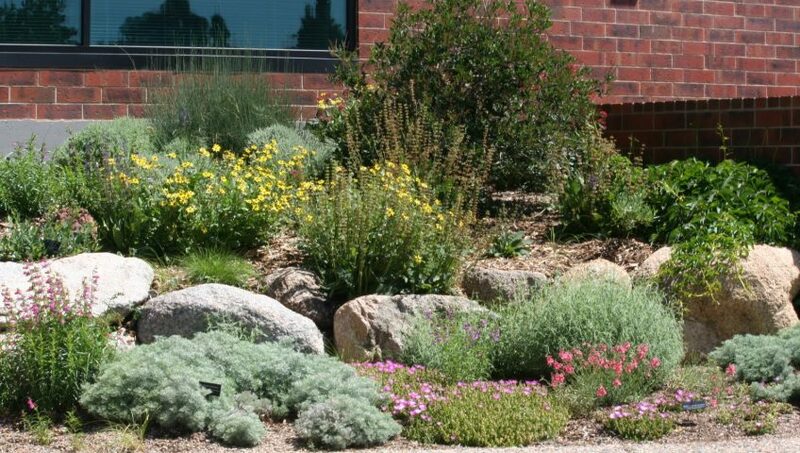 Using local, hardy perennials for your xeriscaping is a great way to add colour to your property. Perennials can be used as feature plants or as ground cover that will help preserve the moisture in your garden bed soil. If you plan on using perennials for your xeriscape garden it is important to note that you should not plant perennials where you will be using landscaping fabric or stone or wood mulch. Perennials need space to sprout in spring so the fabric and rock or mulch will prevent them from putting out their shoots. We always recommend planting perennials in separate beds away from your shrubs if you plan on using any type of fabric or mulch. Some great perennials that thrive in Alberta include Limelight Sage or Variegated Mugwort, Kinnikinnick / Bearberry, Silver Brocade, Prairie Smoke Avens, Prairie Crocus, Giant Goat’s Beard, Bunchberry, Silver Mound, Joe Pye Weed, Native Ostrich Fern, Evening Primrose. Topping off your xeriscape with mulch is a very important step to take in order to have a successful xeriscape garden. Xeriscaping your yard in Calgary means protecting your plantings from our harsh winter climate. Adding a good quality mulch to you garden beds will help retain the moisture, shade the soil from the sun and preserve water below the surface. You can choose several different type of mulch such as cedar mulch, foothills mulch. You can also choose a stone mulch such as rundle rock, rainbow rock or pea gravel. Adding a layer of good quality fabric below the mulch will greatly reduce the amount of evaporation that occurs. Fabric will protect the soil from drying out by preserving moisture as well as protecting the soil from high winds. If you want a true xeriscaped garden in Calgary then mulch of some sort is a definite must have. The mulch and fabric will greatly reduce the amount of weeds in your garden beds. Weeds if left to grow will sap the soil from nutrients and moisture and put your plantings at risk. Xeriscaping your yard in Calgary can be a challenge but is definitely worth doing if you want a low maintenance landscape. Calgary has a challenging growing climate so choosing hardy trees is important. Trees can be a big investment for Calgary homeowners so you will want to make sure you choose a tree that is going to survive. 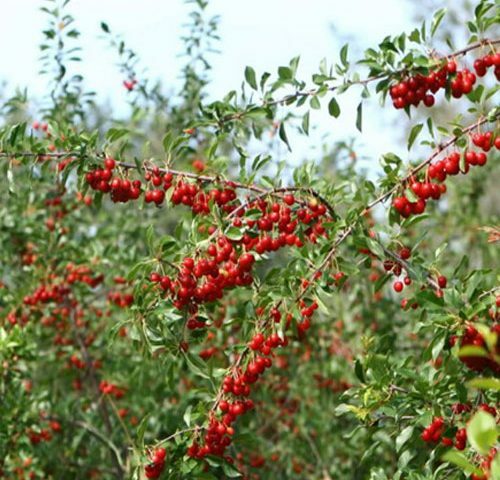 In our previous blog we talked about fruit trees that grow well in Calgary . For this blog we are focused on non fruiting trees. We have compiled a list of top tree species for Calgary These are some of our favourite trees and the ones we recommend the most because they can withstand Calgary’s harsh weather. 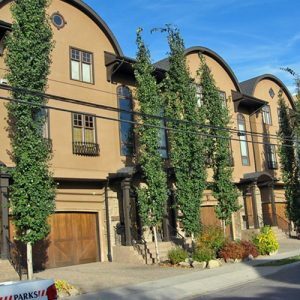 This tall columnar tree is one of the most popular trees in Calgary. It is very hard and the survival rate is great if the tree is planted in good quality soil. 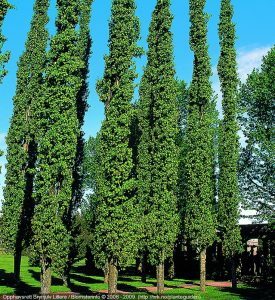 The swedish columnar aspen is commonly used in areas where a narrow tree is required. They are very fast growing trees and look best planted in odd numbers. You can find the Swedish Aspen growing everywhere in Calgary front and back yards. Again, they are a narrow tree so they are a great choice for beside your driveway or between houses. Swedish columnar aspens can tolerate moderate drought conditions. A Trembling aspen is another top tree species for landscaping in Calgary. Trembling aspens are a multi branched tree that grows much wider than a Swedish columnar aspen. Their leaves shimmer and tremble hence the name. 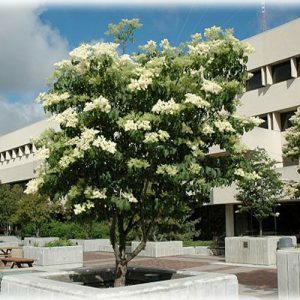 These trees are a great choice for areas in your yard where you have more space available. Trembling aspens look more natural to our environment than some trees and they can often been found planted close to natural areas. Ohio Buckeye are not the most common tree in Calgary but they are one of our favourite trees for many reasons. Ohio buckeye has large, compound leaves and can easily identified by its large seed pods. Ohio buckeye can tolerant full sun or part shade and they are slow growing so they will not take over your property. Ohio Buckeye have beautiful bright red fall colour that makes them stand out in early – late fall. Ohio Buckeye needs well drained soil. The Dropmore Linden tree is a very large tree at mature growth. 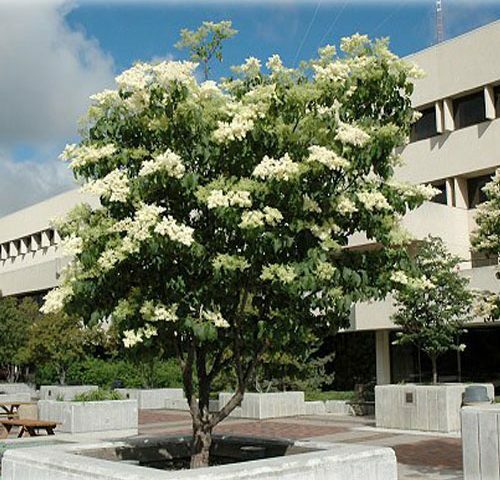 Lindens are one of the most attractive ornamental trees because of their symmetrical growth habit. Dropmore Lindens grow at a moderate to fast rate and should not be planted where there are hight winds or harsh conditions. Dropmore Lindens can grow up to 15 meters so they are best planted in an area where there is lots of room for them to grow and spread. Dropmore linden trees are a better tree to plant than the more popular green ash. 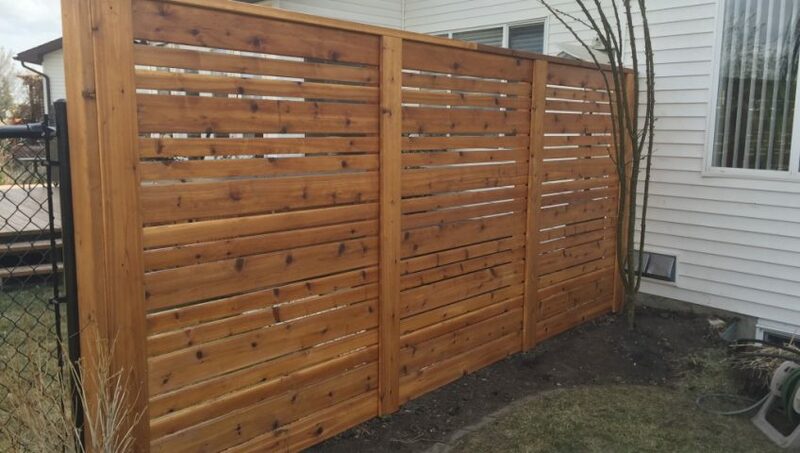 Dropmore trees are fast becoming one of the more popular large trees in Calgary. A Dropmore linden is a much better choice than a Poplar tree. There are numerous problems with Poplar trees that Dropmore lindens do not have. There are several good choices when it comes to Willow trees. Willow trees are a top tree species for Calgary because they grow well in moist areas. Finding a tree that can tolerate wet soil constantly is not always easy. Willows grow great in low lying areas. Some great choices for willow trees include Golden willow and Laurel leaf willow. If you want a very large willow tree then a Laurel leaf willow is a perfect tree species for you. Laurel leaf willows have shiny vibrant leaves that create a full tree. The weeping style of this willow tree make it especially attractive and full of character. Golden willows have similar leaves to a Laurel leaf willow and can easily be identified by their golden bark. They are a smaller tree than the Laurel leaf willow but still a great choice for low lying areas of your property. If you are from Eastern Canada you will have seen maple trees growing in abundance in most provinces. Everyone loves a maple tree specially because of their unique maple leaf but also because of their rich red fall colour. Maple trees are not as hardy in Calgary as they are in other cities to the East. Maple trees need to be taken care of with special attention including well drained soil, annual fertilization and adequate watering. Some Maple trees that can do well in Calgary are Hot wings Maple, Silver cloud Maple and Autumn blaze Maple. All of these trees are very slow growing so you won’t have to worry about pruning them for many years. The smallest of the Maple trees is the Hot wings maple. The hot wings maple is an ornamental tree that is a perfect choice if you have a smaller space in your yard. 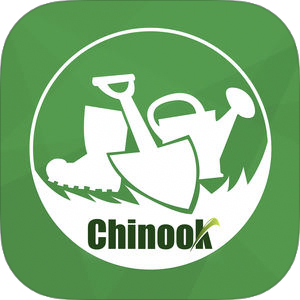 Have a look at our Trees Calgary page for photos of trees that grow well in Calgary.